Click on a project below to learn more. In a multi-wafer rotating planetary reactor, the thickness and the uniformity of the film deposited on the wafer depends strongly on the complex heat transfer, three-dimensional flow, and gas-gas and gas-solid reactions in the reactor. 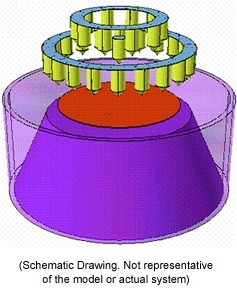 In one project we developed a detailed model of an MOCVD reactor, including induction heating, heat transfer through semi-transparent media, and gas flow and gas-phase chemistry for a rotating puck reactor. 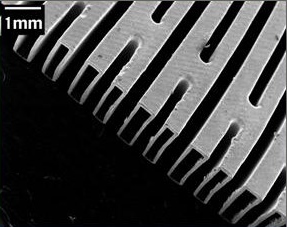 The analysis was focused on identifying the effect of geometric and processing parameters on the thickness and uniformity of the deposited films. 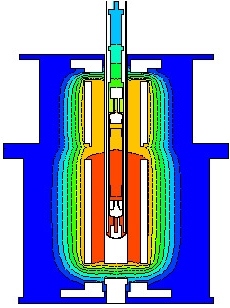 This work resulted in re-design of certain reactor components. Silicon Carbide and Aluminum Nitride are the primary choices of substrates for GaN devices, and are grown from the vapor phase by Physical Vapor Transport. 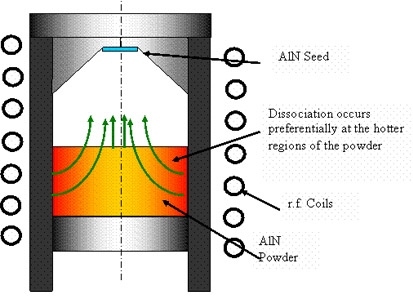 We have developed detailed finite element models for the growth of these materials, coupling induction heating and heat transfer within the reactor with detailed thermo-chemistry of sublimation from powder and single crystal growth in presence of inert as well as chemically reactive injected gases. 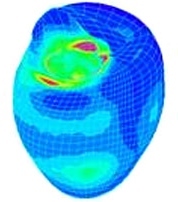 In a project in this area, the simulation tool was used to conduct a large number of what-if analyses to identify the optimal growth furniture geometry. We have worked on a myriad of processes for production of semiconductor and optical materials, from melt, solution, and vapor. The materials we have worked on include elemental (Si, Ge), compound III-V (GaAs, InGaAs, InP), compound II-VI (CdTe, CdZnTe, HgCdTe, MnCdTe), Wide Band Gap Materials (SiC, AlN, AlGaN), and optical materials (CaF2). In one example, a producer of electronic materials wanted to modify its crystal growth furnaces to increase production yield. We created a comprehensive model for the crystal growth process and simulated the effect of planned hardware modifications on heat transfer in the equipment. Our tools were used to optimize the growth process and achieve the increased process yield. The modified furnaces are now routinely used in large volume production. Achievement of thermal uniformity in wafers subjected to rapid temperature increase is a challenge for both the hardware design and process control. The two are coupled and must be designed and optimized simultaneously. In this project, we developed a whole-system model of an RTP furnace, capturing radiative heating by rows of light sources as well as multiple reflective surfaces in the chamber. The developed model was then complemented with a model of the process control algorithm. The complete system was used to analyze a number of lamp arrangements, furnace geometry, and control algorithms to identify the optimal hardware/software combination. Thermal management of electronics and optical devices entails removing large thermal loads from small areas and in confined volumes. Our modeling tools are used to develop solutions for leading edge issues in this area. One project entailed development of a novel approach to removing very large heat fluxes from an array of high power laser arrays. 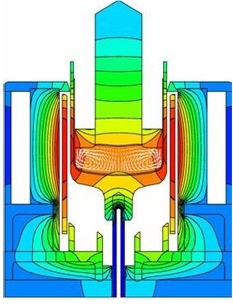 Detailed numerical modeling of a number of design candidates revealed that the traditional cooling approaches could not be extended to the new thermal loads. 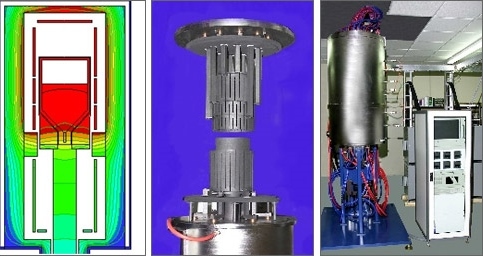 Alternative cooling systems were investigated and a number of optimal configurations were selected prototype testing. In metallurgical applications, electro-magnets are used to stir the molten material or generate dissipative forces to damped melt convection. 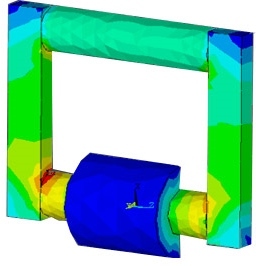 We developed models for a large number of applications involving magnetic mixing and damping of metallic melt.s. The magnetic force calculations are based on the actual design of the electro-magnet. The calculated forces are, then, coupled to convection in the melt, which itself maybe subject to thermal/solutal buoyancy or surface tension forces. 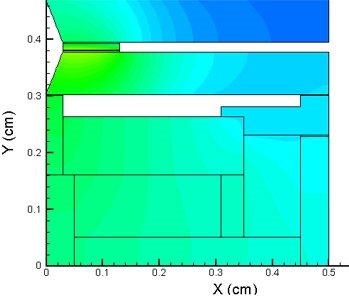 In one example, we applied our modeling tools to the design of an electro-magnet with the goal of achieving very high magnetic fields in a relatively small volume of molten silicon which was contained in a water-cooled furnace. The figure here shows the 3D magnetic vector potential in the half plane of the iron core; the coils are not shown. Devices with features in the range of 1-100's of microns offer significant advantages in heat transfer, fluid flow control, and compact reactors. 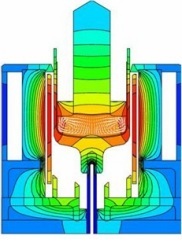 We have used detailed CFD and thermo-chemistry to design and optimize a number of systems with micro-scale features, including micro-jets for removing of very large heat fluxes micro-channels heat exchangers as ultra-compact heat exhange devices for aerospace and electronic applications, and micro-reactors for fuel cell and rapid chemistry processes. In one example, we used our analysis tool to develop customized solutions for removal of extremely high heat fluxes from RF devices. 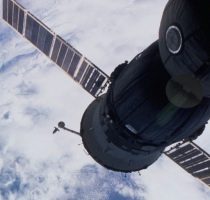 A large component of NASA activities in the Space Station and Shuttle flights was focused on micro-gravity materials processing experiments in solidification and vapor transport experiments. We have worked on a number of microgravity materials processing programs with NASA scientists, as well as having worked with design and flight engineers to understand and optimize the hardware used in space experiments. In one project we developed a high-fidelity computer model for the NASA Crystal Growth Furnace (CGF) which was deployed on board the Shuttle. The model was used to conduct very detailed simulations of a number of experiments to allow scientists identify experimental conditions best suited to their study as well as help in analyzing the results of their space experiments. Industrial equipment often requires accurate and predictable performance at reasonable cost. Computer modeling is used to conduct trade-off analyses to identify the best performance at lowest possible cost. In one example, a developer of high temperature curing furnace needed extremely high temperature uniformity over a very large volume. We developed a high fidelity CFD model with detailed radiation for various designs and identified the correct placement of heaters and insulation packages to achieve the desired thermal uniformity at reasonable hardware cost. The developed hardware performed as fabricated and is now used on a production line. Biomedical devices have to meet very stringent performance requirements, while at the same time having a low manufacturing cost. We have worked on a number of applications where modeling has been used at the design stage to analyze the effect of using various designs and materials on the performance of the biomedical device. In one project we worked with a biomedical device manufacturer to design a miniaturized biopsy device. 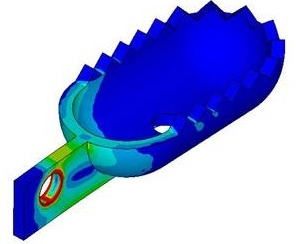 Finite element modeling was used to ensure that the stresses within the device remained at safe levels during operation, and to select the appropriate materials for various components of the device. Predictive models of the human body can be used in a variety of applications including design and fabrication of artifical organs and drug design. Work is in progress to develop integrated multiscale models of the cardiovascular system and the vestibular system to serve these areas. The cardiovascular model is based on (a) 3D FSI multiscale model of the heart, (b) 1D FSI models for the main arteries, and (c) 0D (Lumped) models for the rest of cardiovascular system. The vestibular model is based on (a) 3D FSI models for the three semicircular canals (SCC) and the two otolith organs (OO), (b) Lumped models for the 3 SCCs. We have designed, and supervised the fabrication, installation, and operation of industrial and research equipment. In one project we designed a furnace for production of large UV crystals for use in solar blind optics. The UV crystals are produced by directional solidification (vertical Bridgman) from melt. The end-use requirements impose very stringent conditions on the crystal growth process, particularly on the allowable temperature variations in the crystal during growth as well as cool-down to room temperature. We developed a Simulator for this process, and used the Simulator to optimize the size of various components in the furnace. The result was a six-heater furnace which was then fabricated and installed at our client's facilities. 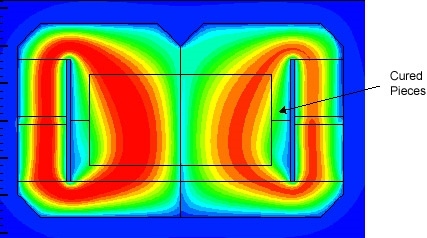 The figures above show the result of simulation output, a close up of the furnace interior, and the installed equipment. When an important piece of satellite hardware cracked during manufacturing, one of our clients was faced with only a week to build the part from new materials. 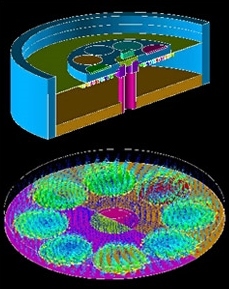 CapeSym experts redesigned the part and conducted computer simulations to ensure that the new design met NASA standards. The part was successfully manufactured and met all of the requirements for lift-off and re-entry.